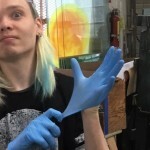 Max DeMulder gets ready to work at the Glass School. The Glass School’s newest artist – Max DeMulder – has a solo show at VisArts Common Ground Gallery, titled “A Wild and Untamed Thing”. Max’s new mixed media works are wild and fun and look spectacular in the space! Max DeMulder, “Blahh”; 2016, coper formed and fabricated with found objects. 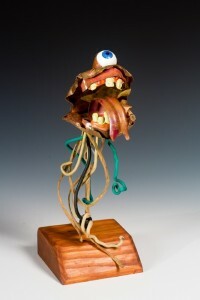 About the artist: Max DeMulder grew up in Silver Spring, MD and decided to pursue a career in art from a young age. 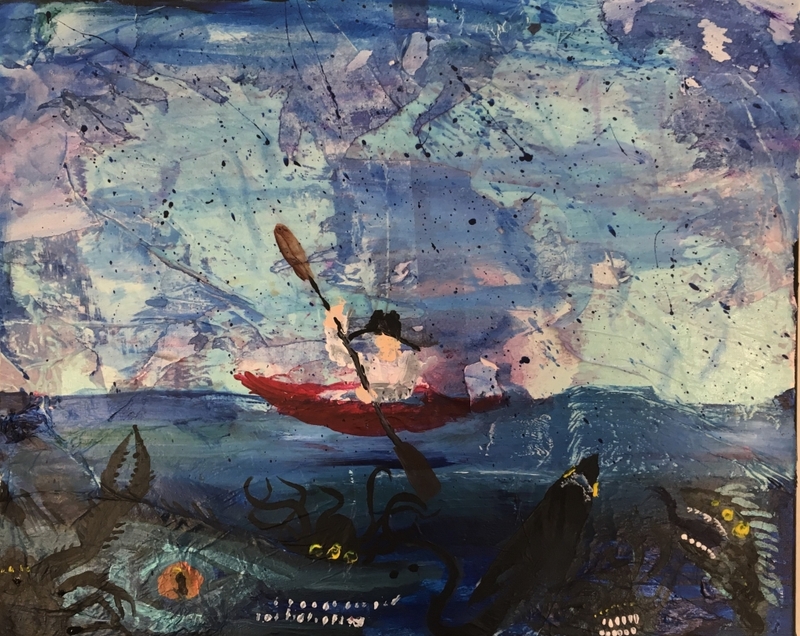 At Katherine Thomas High School, Max cultivated his artistic talent, working with clay, painting, mosaics, and mixed media, with a great interest in found objects. 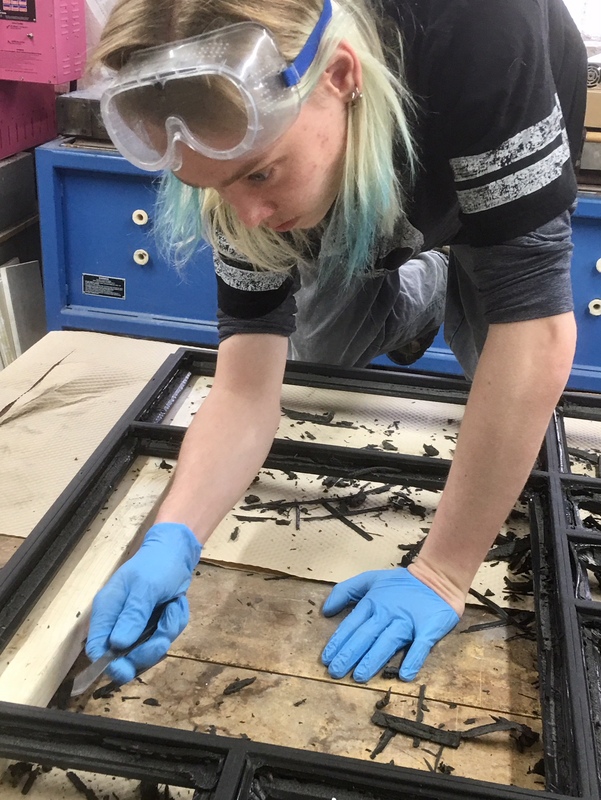 As a Boy Scout, Max did woodwork, leather and metalwork and became an Eagle Scout in January 2018. 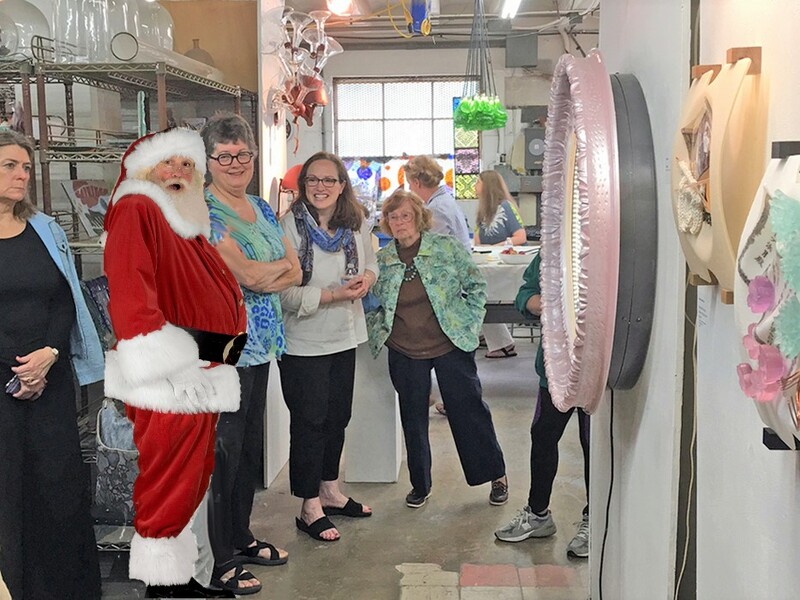 In addition to creating his own work and time spent at the VisAbility Art Lab, Max apprentices with Nick Barnes, metal smith, and has worked with him for ten years. Max has assisted sculptor Howard Connelly with projects. Currently, Max is interning at Washington Glass School under the tutelage of Erwin Timmers along with Tim Tate and Michael Janis.